It was a certain successful female tennis player named Maria Sharapova who said 'If everything was going smoothly you would never build character.' That was certainly a true statement. Without all the struggles in my past, I certainly wouldn't have been as strong as I feel today. Those struggles have shaped the person I am and I'm not going to hide that, I'm going to show it off. Those words are something I uttered to the Blyth Spartans chairman as part of my interview. I was willing to be open about my journey and how I intended to lead the team and myself to better things. The club was going places and I was ready to ensure we would go even further, I was confident and that's what Tony liked. There is certainly a lot of pressure on my shoulders, he reminded me of that fact as we spoke. If I was to be appointed as manager of Blyth, I would be the first female manager to step foot into the men's game in England. The media would be all over me and I would have to be ready to face that. I understood and set out my plan of action, I was ready to embrace the cameras. I thrived under pressure, I was ready for anything that was going to be thrown at me. That was a part of my newly found character, one that is still very much developing. I was open to new ideas and always looking for different people's input - I was to be a woman of the people. Myself and Tony understood each other well. We both have similar ideologies as to the direction to move in. He understood my philosophies I had in mind, nothing too far-fetched as the club are still semi-professional but something that had the makings of developing the club into a club for the future. In the past, Tony told me that managers had been very short-sighted about the vision of the football club. They only planned ahead to the upcoming season and whilst that could sometimes be a good thing, it left the club struggling the next. The previous manager, Alun Armstrong was the only man who seemed to be innovative and think ahead but sadly after leading the club to this level of football, had to leave for personal reasons yet to be understood. Discussions lasted for a long time, whilst I was a local lass I still had only brief knowledge of the club so that was where Tony educated me. The history of the club interested me, we had reached this division before but quickly saw an exit and a real decline - this was something Mr Platten wanted to avoid. All around me were pictures of the vivid memories of the club, some more recent like the famous cup run in 2014 where Blyth led 2-0 against Championship side Birmingham, whilst others captured the cubs turn to semi-professional football pre-World War I. Tony could tell me the history behind each picture that hung on the walls. Tony himself was a man from the town and who decided to buy out his local football club who he supported as a child. He breathed the club and always had the interest of the club in his heart. He was someone a fan could connect with during the game because he would always stand with the fellow fans, the club had that typical community feel you get down in these leagues. That's why we came to the decision that this was the right move for both parties. He handed me a contract that was written up and offered me a pen. I felt the smile cross my face, the tears began to form in my eyes and Tony laughed and told me 'You are perfect for this, you deserve this,' as I signed my name on the paper. I was officially the new manager of Blyth Spartans Football Club and the first women to become a manager in the men's game. It all began now. And that's where we are at today, just a few hours after signing that contract that has shown me that hard work pays off. It was the great Audrey Hepburn who said, 'Nothing is impossible. The word itself says I'm possible.' That's the motto I now live by because if you told me this would happen on Christmas Day 2016, I would have laughed in your face. Griffin: That's true, very excited to get going! 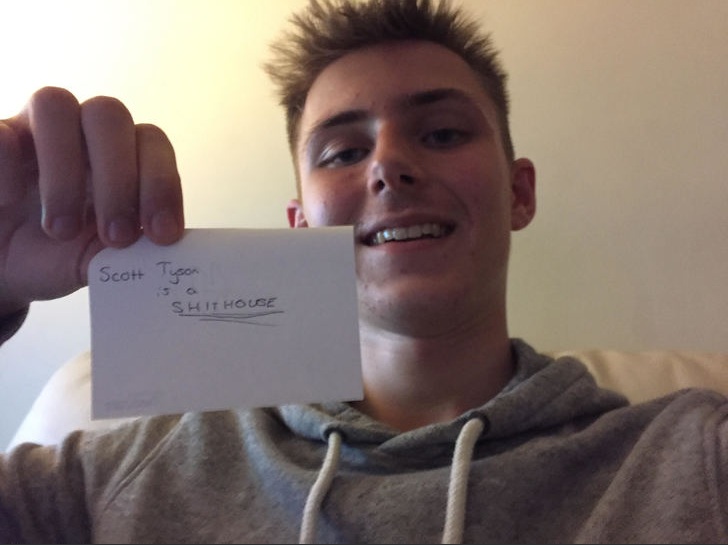 Toddzy: Cheers mate! Glad you're enjoying it so far. Aaron: Cheers Aaron. After reading it back I can see why you got that impression. Thanks again! I know you can do great things! The first female football manager is surely destined to go far? I also never knew they led birmingham 2-0 in a cup run! I take it they went out in the end? First of all, welcome to Blyth, Rachel! So, I'm sure you've heard this a lot already... but you will be the first women to enter the men's game in this country, how much pressure is on you do you think? There's a lot of pressure on me, that's for sure. There's always pressure on a manager to deliver the results as that's what football is all about - results. For me I'm going to take it as it comes, I have my plans and vision for the future in my mind but we are going to take it a step at a time to ensure myself and the club go in the right path. The media have really focused on me since I have taken the job and I can't lie, it's been strange to adapt to, but I know that it's what I'm going to have to get used to. Along with that it adds a lot of focus on the players as they aren't particularly used to a lot of media exposure at this level so it's something we'll have to get used to together, but I'm sure we'll tackle that soon. Do you consider yourself a role model and can you see any other women following in your footsteps? ...I suppose you could say I'm a role model? But realistically I'm just proof that anyone can make it, whether that be male or female. Hopefully my story and my route into management has helped inspire people out there and we can get a real influx of different types of people in the game, especially women because that opportunity is there, I'm proof of that. How have the first few days of the job been? Fantastic. I've had a little bit of time to familiarise myself with the players and we have all got to know and understand each other. I've been working on a few different things ready for the upcoming pre-season too. All in all it's been a great start and I'm very much looking forward to everyday as it comes, there's always a new challenge. Previously, Helena Costa became the first women to manage a men's professional football club with Clermont Foot in Ligue 2 in 2014 and she left due to 'sexist jibes,' has anything been put in place by the club to prevent this for you? The club have been very open-minded when it comes to something like this occuring here. I'm a local lass as you know and I love the community and the people are certainly not people I would associate with this type of behaviour so I'm confident this can be avoided. I'd be quite disappointed if I were to witness any type of discrimination due to my gender but it definitely won't phase me. I plan on creating success with this football club and a few little comments won't dishearten me. No disrespect to Helena, as she will have her reasons, but I won't let my dreams and ambitions be ruined by a few potentially narrow-minded individuals, but as I said, I'm confident it won't come to this and no action will have to be undertaken by the club. What do you plan on bringing to the club? I want to bring something fresh and new. The fans pay good money to come and watch the club home and away every weekend and even in midweek so I want to excite them. If I can't get the fans off their seats in games then I'm not doing my job right, we want entertaining football where they'll be a lot of goals and good play. That's all I can really say without delving too far into my plans. Can we expect any activity in the window in the coming days? Yes. I have been working very hard since taking the job in improving the squad ready for their return to the National North. We have a very professional squad as it is, but there's room to improve and we will be looking to add more depth to the playing squad. I expect at least one or two signings to be done by the end of the week. Finally, have you any words for the supporters? I want to thank the supporters for their tremendous support since I have taken the hot-seat here. You have all been very welcoming and I definitely feel like this is the perfect place to begin a very successful career for us both. I can't wait to see you all packing into Croft Park during pre-season and the upcoming season, hopefully we can enjoy a fantastic campaign together. Aaron: Hopefully so mate, I wanted to create something different and something outside of the box, so hopefully the first female manager does well. Aye, sadly Birmingham turned it around and won 3-2, Nikola Zigic scored two! Griffin: Scary how quick time flies isn't it. But very true! MJK: I was looking through quotes and it stood out, don't blame me. Good stuff!!!! Let's win the Champions league!! Rachael presents herself incredibly well and seems to know exactly what shes planning to do with this club! Jarrett Rivers insists the National North playoffs aren't out of reach for the Spartans this season. With the season due to start in just over a month, Blyth Spartans have undergone a lot of changes over the Summer, especially in the manager's dug-out as Rachel Williams, the first women to become manager of a men's club in English football, took the hotseat in place of the departing Alun Armstrong. Blyth are making their return to the sixth tier this season after promotion from the Northern Premier League last season and fans are eager to see just how well the club will fair in the upcoming campaign, winger Jarrett Rivers is confident of a successful season. The 23-year-old made headlines back in 2014 after scoring the winner against League 2 side Hartlepool in the FA Cup 2nd round to eventually set up a tie against Championship opposition Birmingham City, where, despite being 2-0 up at half-time, Blyth were knocked out 3-2, thanks to two goals from Nikola Zigic. Jarrett also said he is pleased to see a large amount of support for the new manager over the course of the week, as footballing legends like Alan Shearer have welcomed Williams and wished her luck ahead of the season. Blyth will begin their pre-season campaign away to Scottish Eastern Premier side Tayport on 8th July and will play their first home fixture against Nottingham Forest on Saturday 15th July. Aaron: Blyth Spartans, Champions League winners 2023. Griffin: That's the approach you have to have if you want to be successful, so Rachel tells me anyway. 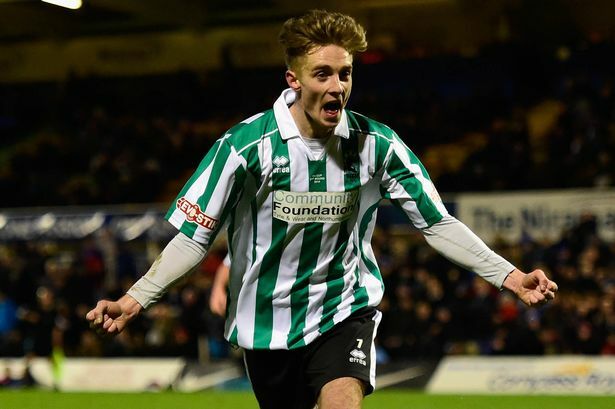 In what has proved to be a busy day for the Vanarama National North outift, Blyth Spartans have signed five players to begin their Summer window activity. Spartans, who unveiled Rachel Williams as their new boss just over two weeks ago, have heavily bolstered their squad upon their return to the sixth tier. Sam Berry, Sam Guthrie, Kayne Diedrick-Roberts, Lewis Price and Andy Nugent have all completed moves to Croft Park on a free over the course of the day, whilst Damon Mullen left the club to join Northern Premier League side Altrincham. Firstly, Berry, 22 joins after his release from Sheffield United in 2015. The Irish central-defender failed to find a club last season despite making a good impression whilst out on loan at Alfreton Town and has said he is 'relieved' to be back in the game after a lengthly absence. Since starting his career at Derby in 2010, Berry has failed to nail down a solid base after struggling to show his talents off to the Championship club, being loaned out to Mickleover before his eventual release. A loan move to Welling prior to his move to Alfreton shows that the potential is definitely there for the young defender. Despite previous manager Alun Armstrong bringing in Aaron Jameson from local rivals Darlington, Williams hit the market in sought of another goalkeeping option and decided to bring in 21-year-old Sam Guthrie. The English shot-stopper was released this Summer from Huddersfield after their promotion to the Premier League and after a loan to Clitheroe in the Northern Premier League Division One, will be eager to prove his worth at a higher level. Perhaps the biggest coup of the lot, Kayne Diedrick-Roberts had seemingly impressed many scouts across the lower ranks of Non-League after both Boreham Wood and Torquay of the National League shown their interest in the young striker after Manchester United deemed the 18-year-old surplus to requirements. Failing to really make an impression in the academy, it has still been recognised that Roberts has the blend of both pace but also real composure in front of goal, which has won over a lot of support in Non-League. Kayne-Diedrick Roberts (above) will be looking to make an impression at Croft Park after being released from Manchester United this Summer. Yet another young player released this Summer was Lewis Price, who makes the move from Sheffield Wednesday to join Blyth. The 18-year-old central-midfielder has also yet to make a start in a first team set-up after unsurprisingly failing to break-through in the Wednesday squad, but also failing to get himself a loan move out in the process. The final 'in' of the day comes in the shape of Andy Nugent. The left-footed full-back has joined after, similarly to Sam Berry, a year long absence of the game after his release from Burnley. Williams claimed that the signing was a 'definite must' as her options at left-back were previously very short, with Michael Liddle being the only real option. Finally, the last piece of business conducted from the North-East based club was the departure of Damon Mullen to recently relegated Altrincham of the Northern Premier League. The 27-year-old made 90 appearances across three seasons for the club, after a couple of appearances on loan from Hartlepool, back in the 2006/07 campaign. Griffin: He is a very talented player and is seen as an 'icon' at the club, so he definitely will be an instrumental player for us. Good to see you being able to strengthen the squad and that the board really are backing you!